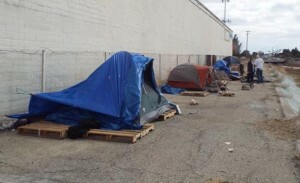 LOS ANGELES – The Measure H sales tax increase has provided enough money to move homeless people off the streets and get them the services they need, but community support needs to be part of the solution, county officials said. The five members of the Los Angeles County Board of Supervisors offered an update Tuesday on Measure H spending. But one big obstacle remains. Planned developments have encountered vocal opposition from community members. — $17 million for prevention. 19 comments for "L.A. County approves $402M to fight homelessness, seeks community support"
that’s right girl I SAW IT U BET … AND KNW EXACTLY WHO U ARE SPEAKING OF … FROM EXPIERIENCE MY FRIEND. WE NEED TO MEET AND SPEAK ASAP, LOL. THIS TYPE OF PARASITE DESERVES WHAT HES GONNA GET HIM AND HIS CO DEPENDENT WIFE. ILL EMAIL YOU MY ADDY INFO . TY FOR PUTTING THIS OUT THERE FOR PEOPLE LIKE U AND I . IM SURE THERE ARE MORE VICTIMS OUT THERE SUM WHERES STEP UP PLEASE . ITS BEST WE FORM A CLASS ACT. LAWSUIT U ARE NOT ALONE LADIES AND GENTLEMEN SPEAK OUT ROGER AND PENNY S. U KNW WHO AND WHAT U ARE!!! well, I and my sons are once again homeless and living in tents for a month now after 2years nearly , and speaking of cowards My piece of [removed] slum lord of a Landlord by the name of ROGER L. SCHAEFER (+ wife: PENNY ) wrongfully evicted us on (April 23rd 2018) without any legal paperwork filed by any court without any warnig and all we owed was $147.00 !! Furthermore my sons is a member of MHA in Lancaster and the program hes on paid half the rent already that month.. ?? they accepted partial payment from organization and still came and same day after verbal warning that morning he came back and kicked our door in and literally physically Removed all of our furniture , personal belongings and even our dog and copos came out and knowing it was illegal what he had done sided with this maggot. just needed to ALERT mayor PARRIS he claims u guys are BFF and how he knws all the city council members and hire ups BS and apparently SUM CROOKED COPS too, lol. Im sorry I apologize for venting but I hope someone who may knw these people who live off Firenze St in Quartz Hill will get sum info on this slum scum lord whos also a bi sexual PERV/ ” PEEPING TOM” ACCORDING TO MY NEIGGHBORS AND HIS WIFE PENNY SCHAEFER – just for the publics knowledge and the communitys FYI too. And P.S. Any lawyers willing to try my case (per Bono) to help me beat this bullys [removed] in a court room for sexual harassment in housing, and throwing my family and a single mother out into the street by violent threats and knowing my son is a mental health case as well and for the fact we were wrongfully evicted and TAKING ADVANTAGE OF THE FACT WE HAVE NO MONEY FOR ATTORNEY COURT FEES UNLIKE HIM LIVING IN A MANSION IN A PRIVATE ESTATE COMMUNITY TO FIGHT HIM PLEASSSE CONTACT ME!!! I PLEAD AND ASSURE YOU WE HAVE A STRONG CASE AND WILL WIN. I HAVE PROOF OF THIS AND PLENTY OF WITNESSES WHO WILL TESTIFY AND PHOTOS OF SLUM LORD CONDITIONS OF THE PROPERTY HE OWNS OFF G-4 AND DIVISION ST. CALL ME . This is why you don’t rent to people. What a nightmare! Better to put the home on the market and let a young up-and-coming family have a chance at home ownership than to deal with people who give constant excuses as to why they don’t want to take responsibility in life. I feel really sorry for the kids in this scenario and hopefully they learn from watching their mother. And I sincerely hope that, one day, this mother can get some mentoring on what it means to be an educated and responsible parent. what and why is the beef and blame on the mother S. SOLIZ ? ? Lol. And have you ever been out to the private dirt road at wheres shes speaking of … obviously Not, its a big house and another house a couple 100ft apart surrouinded by trash and dumped furniture, rags, old piles of tires,etc the furthest house in which im almost positive she (Ms. Melton) is refering to – that she got wrongfully evicted from is split in two units seperated by a wooden fence and is a ridiculous set up made into 2 duplexes FYI. BELIEVE ME,No up and coming young couple would even want or think of renting no less opt to buy it . GET THE FACTS STRAIGHT BEFORE U SPEAK AND JUDGE. SHE AND HER KIDS ARE THE VICTIMS HERE .U MUST BE ONE OF THIS DUDE S BUDDYS HAVE SOME SYMPATHY . SOME FAMILIES DONT HAVED MOM AND DAD IN THE HOME .REALITY IS TOO MANY COME FROM BROKEN HOMES GROWING UP AND CAN ONLY TRY TO DO THIER BEST TO PROVIDE AND KEEP A ROOF OVER THIWE KIDS HEADS AND FOOD ON TABLE .IT SOUNDS LIKE THIS SINGLE MOM WAS BARELY GETTING BY THIS WAY UNTIL THIS DIRTBAG TOOK ADVANTAGE OF HER AND BOOTED THEM TO THE STREET EDUCATE YOURSELF ON LIFE IN THE REAL WORLD STEP DOWN FROM THE PEDESTAL AND GOD FORBID UR KIDS KIDS END UP IN THE SITUATION SOME DAY . If you can’t handle living in a home and paying rent there, then maybe try an apartment? or go to the projects at Nickerson Gardens? … more free stuff for the Mexicans. Philip…I am thankful that I have enough to share with others that don’t. Wow, their costumes are amazing then! Roll by Ave K North on ramp and I see white, black, and too dirty to determine. That $402M money should go back to the tax payers. The taxpayers voted for that. What we didn’t vote for in Lancaster is the $10 Million Dollar boondoggle known as the Eye in the Sky. It is worthless and nothing more than a political payoff. O.K., let’s try this again with moderation committee. The money will go to the same homeless organizations that let homelessness get out of hand in the first place. Homeless organizations and charities have plenty of money, but they don’t spend it well. Then you have the greed factor when there are some minds that are inclined to deception. Money that just disappears and no one knows where it went. There are excellent programs in this country regarding the homeless, but L.A. County isn’t one of them. The money will go to the same homeless organizations that let homelessness get out of hand in the first place. Homeless organizations and charities have plenty of money, but they don’t spend it well. Also, money just mysteriously disappears, and no one can account for the missing money. Greed is always a factor in the minds of those so inclined to be deceptive. There are successful programs in this country to help the homeless, but L.A. County isn’t one of them. Our community will be the last to be offered the help AND, a lot of homeless don’t want help. Our leaders in Lancaster have no clue what fears are involved when employees have to be subjected to what you mentioned. Our community is always last on the county’s list, because after our representative on the board of supervisors casts her “I need to look good in the dark and smoky rooms where Republican donors gather so I oppose everything” vote she is invited to go wait elsewhere while the decisions are made. The only mystery is why our district insists on sending these useless tokens as our representatives to every level of government no matter how long they do nothing for us. Really? That is your solution, has nothing to do with being brave or a coward.